This was a fairly simple cake to do, not to large with stripes, criss-cross & diagonal stripe design. Sizes were 6″-8″-10″ squares. I placed the tiers in an off-set design instead of stacking them straight up because of the tier sizes. I like at least a 3″ difference. This allows for decorations, flowers etc. to be placed on the tiers. 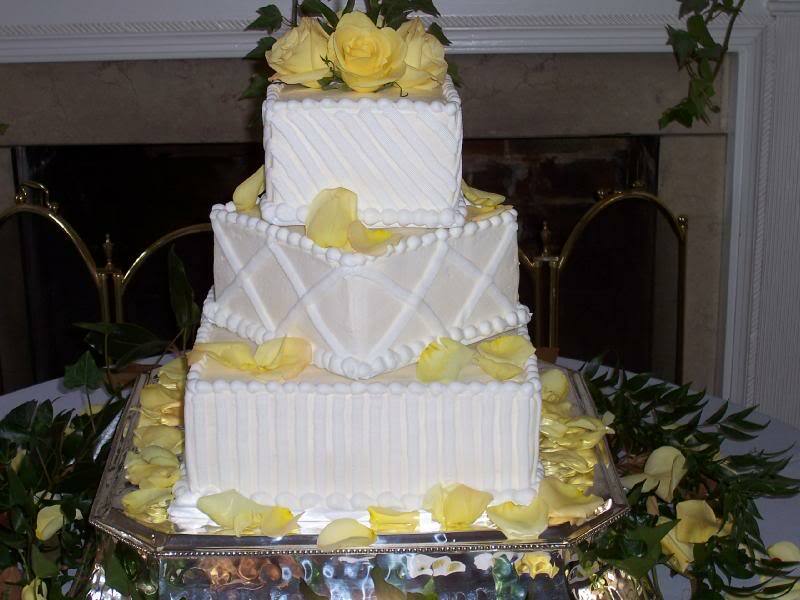 Having the cake off -set gave me the corners to work with and I liked the way it looks.Fresh yellow roses and petals were used here.